On November 5, All Unions Luncheon was held in the Pond Inlet to discuss the impact of Workday. 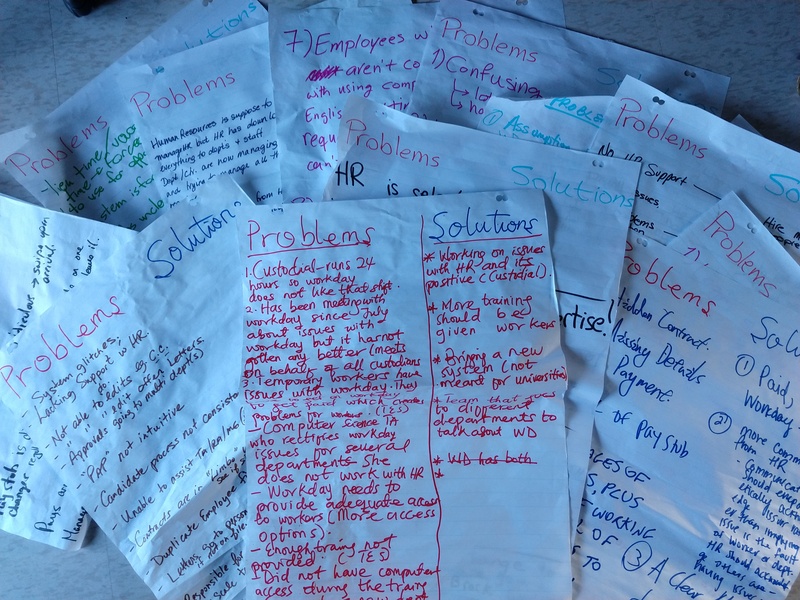 We have transcribed the plentiful compilation of problems and solutions that were jotted down on sheets of flip chart paper at every table. For the document click here. On Monday and Tuesday, November 26 and 27, the flip chart sheets will be displayed at a table in MC A hallway. We welcome passerby to share their Workday experience. This entry was posted in Solidarity Work by lizkovacs. Bookmark the permalink.